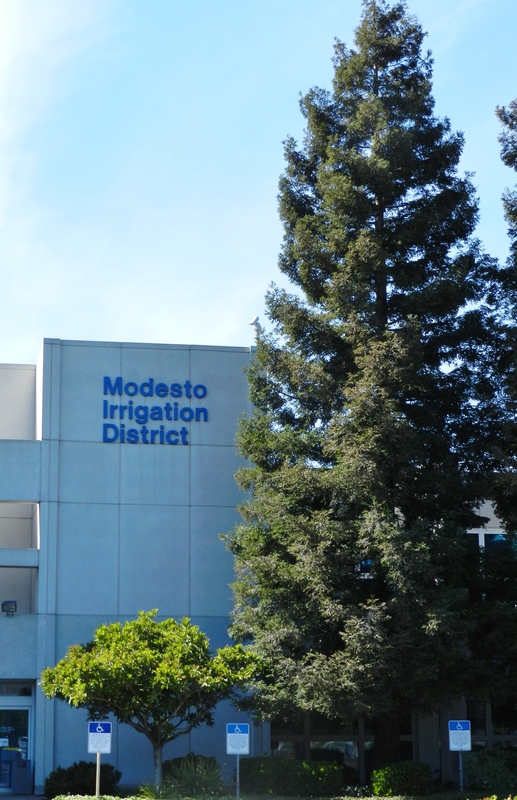 The Modesto Irrigation District (MID) is the primary electricity supplier to northern Stanislaus County and the town of Mountain House in San Joaquin County. The Board of Directors of MID has been discussing an electric service rate increase in 2014. The numbers suggested have ranged from zero percent to a double digit increase. Current MID electric rates rank among the highest in California. The debate about the rate increase centers on the overall financial condition of the utility. MID has borrowed heavily in the past to finance the expansion into Mountain House and has had trouble containing ongoing operating expenses. The utility operates “the Cadillac” of electrical equipment, with an excellent record of outage-free service. Unlike Pacific Gas and Electric Company, MID rarely experiences an outage due to equipment failure. Automobile collisions with power poles are probably the biggest cause of outages. High salaries are also a major expense. The quality of the employees has helped make the utility one of the most reliable in California. Cutting salaries could result in personnel losses that would compromise the reliability of the utility in the long run. Reliability is the key to customer retention in a competitive market. The biggest impediment to a large rate increase is the present high electric rates. With MID having one of the highest rate structures in California, the public has grown increasingly critical about further increases. MID Board member turnover in recent elections has installed new faces who are politically sensitive and who don’t want to cause a storm of public protest. The previous Board had been insular and mostly free of public scrutiny until the large rate increases of recent years. Another major and recent impediment to a rate increase is competition. Solar energy companies are moving into the Modesto electric market. They are attempting to take MID’s electrical customer business incrementally by selling products and services to businesses and residences. They do so by promising lower monthly costs than customers presently pay the MID. The higher MID raises rates, the more vulnerable the utility is to the competition. One company offers residential customers an electric solar lease for $99 per month. As the average monthly electric bill rises farther and farther above the $99 level, the MID residential customer base is going to erode. At some point, another rate increase could result in a total offset of increased revenue through customer losses. In theory, every current MID customer could opt for solar if MID’s prices go high enough. With energy deregulation in California, the competition will only get more intense, making MID’s electric product more price sensitive. In order to overcome the present financial bind of the Modesto Irrigation District, the Board of Directors will need to find a way to enhance revenue without losing customers. Given the limitations resulting from the impediments to rate increases, the task seems daunting. For the sake of the utility and its customers, the Board will need to be creative. The utility can no longer afford to act like a monopoly.